Today we started our day in devotion and prayer our devotion today was about fear in being alone ... Laura didn't like being alone on the prairie with out the wagon being there with Ma , Mary , baby Carrie , and herself . The Psalmist experienced the same feeling !!! We disscussed that we should never be scared because God is always with us ! Also when we do get scared all we have to do is call upon the Lord ! We took the oppertuntity to learn about sprains and the first aid for sprains today !!! We also talked about the blood function !!! 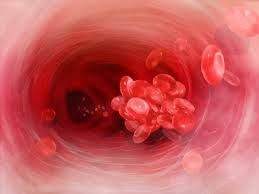 How the blood clots ! Pa told Ma today that he could live here on the prairie forever !!! even if it did get over crowded !!! He told Laura that he thought the Indians were on their annual hunt was the reason they hadn't seen on yet ! Ma told pa she wished that sending letter was eaiser to her family ... However the nearest Postal Post is 40 miles away !!! She knew there family had no idea where they ended up at or if they were ok ... It would just have to wait till Pa went town !!! 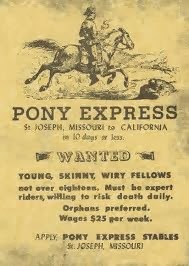 We took this oppertunity to learn about the USPS and the pony express !!! We are very thankful that our mail doesn't take months to recieve !!! and that for the most part we are insured it will arrive !!! I can't wait till next week we have lots of fun things in store !!! We have had a blessed day !!! Hope everyone has an amazing weekend !!! !